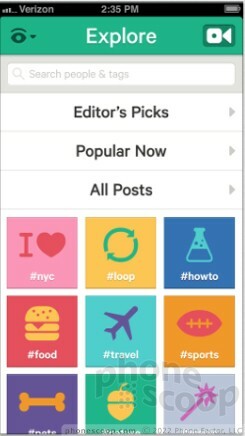 Vine today pushed out version 1.1 of its iPhone application. The most significant new feature is the ability to toggle between the front and rear cameras, making self-Vines easier to capture. The update also makes it easier to search for and mention other Vine users in posts, and fixes several bugs. Vine 1.1 for the iPhone is a free download from the iTunes App Store. Is becuase of apps like this. Something that is not required, has extremly limited functionality, but still uses video and an internet connection to transfer said 6 seconds of video. How did this app ever get popular? I have no idea. And Self-Vines? wow... somebody in their marketing department needs to be fired.